Yohance Parker knows how to communicate! 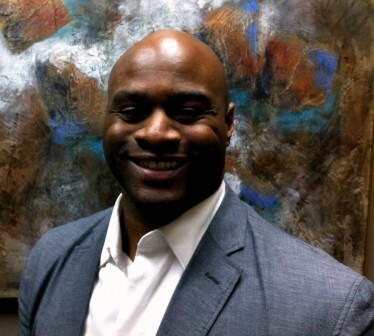 After graduating from Union College in Kentucky and spending a few years teaching physical education, Yohance entered the business world as a sales representative. After realizing that he (by his own admission) “wasn’t very good” at it, he started studying the art of communication. Yohance spent a number of years then working in a skilled nursing facility environment, both in a service and sales role. During this time, he developed a passion for serving seniors, and particularly in applying his communications skills to this population. After years of researching, observing and putting what he learned into practice, Yohance saw great improvements in his performance and realized that he could make a difference by teaching others how to be better communicators. Yohance is the Founder of “A Better You” and now coaches groups and individuals on the “Art of Communication” (also the title of his upcoming book due out in January). If you would like more information on Yohance’s workshops and other materials, please visit www.onestepfromgreatness.com or email him at abetteryou7@gmail.com. We want to thank Griswold Special Care for sponsoring today’s show. Griswold Special Care has been a preferred provider of high quality, affordable in-home senior care in Dallas and Atlanta for 20 years.